I saw a photo of Avocado Toast on Instagram a few weeks back, and was craving it so much I finally bought the ingredients to make some myself! This is one of my new favorite snacks, (or meals!) now and so easy to change up and make in just a few minutes. It's great when you're starving and don't want to take a lot of time to make a meal. Recipe created by me! Feel free to change out ingredients or substitute, I have some strange ingredients here, and you probably won't have them, or know where to get them easily. 1. Toast bread slices. Halve the avocado, remove the pit, and slice into a cross hatch pattern while still in the skin, but not cutting through the skin. Mash avocado with a fork while still in the skin, then remove with a spoon and smear onto bread slices. Save other half of avocado in skin if you're not using it for the toast (you can cover it with plastic wrap, or get yourself some handy Food Huggers). 2. 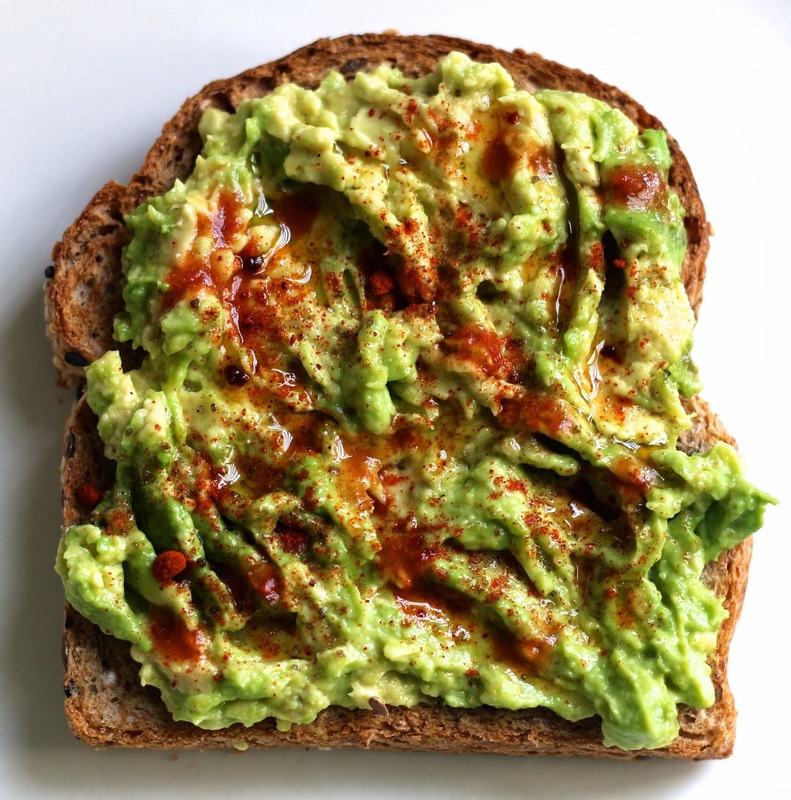 Drizzle olive oil over avocado toast. Sprinkle with salt(s) and paprika. Dash a little (or a lot!) hot sauce all over the toast. Eat and revel in how delicious such a simple snack can be!